​Since 2015 Indie Beauty Expo (IBE) has provided a platform to support market -ready indie brands in New York, Los Angeles and Dallas. 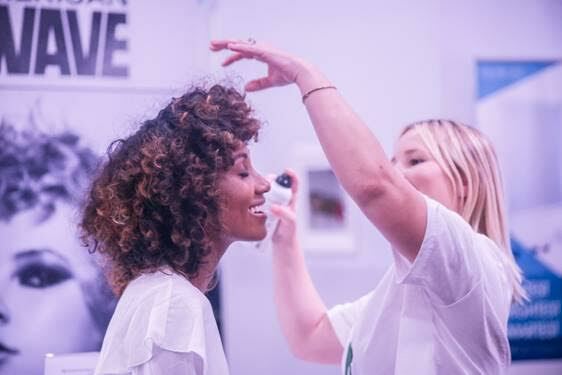 On August 22nd 2018 in New York City, IBE opened its doors to hundreds of influencers, buyers, media and consumers to explore and experience over 240 indie beauty brands! Attendees experienced facials, make-up application and much more! The expo is the perfect way for all attendees to learn about beauty brands like LUK, Jane Iredale, La Flore and many more. Media is invited to experience the show prior to the public to learn about brands they want to work with and consumers are invited to experience the show and purchase discounted products they are interested in. Brands exhibited make-up, skincare, hair care products, and supplements. There was something for everyone at this show and was a great way to learn about new products! For beauty lovers in Europe, IBE is making its debut in London this October! For more information on Indie Beauty Expo and their upcoming schedule visit: https://indiebeautyexpo.com/​ and see below for our experience at the show!